S.C. Swiderski announces the formation of a committee for Community, Action and Service (CAS). 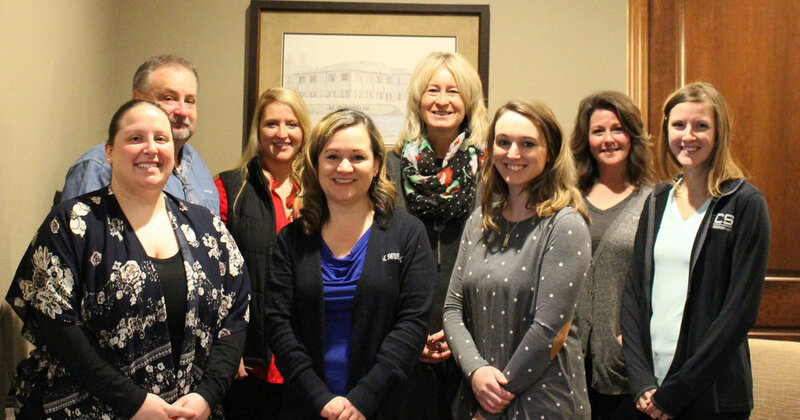 The 2018 committee is Amber Anderson, Carrie Slater, Lori Minnihan, Kari Kussow, Josh Sommerfeldt, Jacqui Miller, Ali Montalbano, Kim Dennee, Bob Eberhardy and Elizabeth DeGroot. The group is an employee led initiative to organize volunteering, community outreach and activities for the company. “Many of our employees are already doing great work in the community. We formed the group to coordinate these efforts so we can have greater impact. We also hope to make it easier for employees to learn about opportunities and get involved,” explained Jacqui Miller. The group is currently working on fund-raising for the United We Can Event at CommUnity Fest. Josh Sommerfeldt designed a sculpture that will be built out of non-perishable goods; the group will collect the food and host a booth to display the work at CommUnity Fest. The food will then be distributed to area food pantries. Amber Anderson is leading the group for this event; she said, “We have monthly activities planned leading up to CommUnity Fest that the whole company can participate in. I am pleased with the support and enthusiasm for this great cause.” The February event is a bake sale on February 14. S.C. Swiderski is proud of their employees and the work they do in the community. Thank you to the volunteers on the 2018 CAS Committee.